Cleveland attorney and Thompson Hine LLP partner Donald H. Messinger has been named Chairman of the Board of the Cleveland Pops Orchestra. He succeeds Dell R. Duncan, Senior Vice President / Market Leader of Peoples Bank. The announcement was made on Friday, January 15, 2016 at the Orchestra’s annual meeting. Mr. Messinger has served as a Cleveland Pops Orchestra board member since 2006. Messinger, selected as an “Ohio Best Lawyer of the Year” in 2015, is a partner in the Thompson Hine LLP Transactions & Securities practice group. 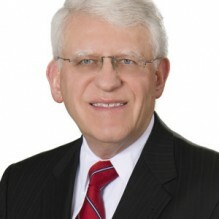 Don has been a member of the firm’s Executive Committee and before that served as partner-in-charge of the firm’s Cleveland office.